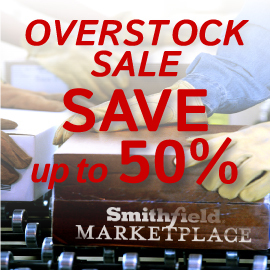 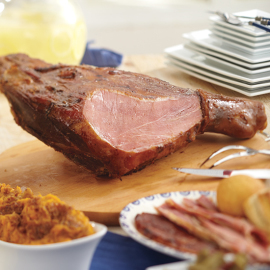 The Genuine Smithfield Ham is a world-famous country ham – aged, smoked, and dry cured with salt for 6-12 months. 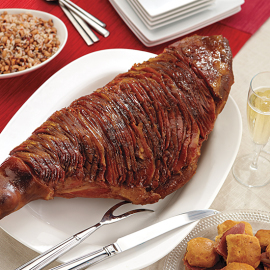 These carefully prepared hams make for the perfect gift or flavor-packed centerpiece for a special meal. 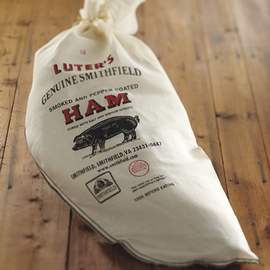 For the truest Southern dining experience, try our Uncooked Country Ham or Genuine Smithfield Ham packed in a traditional cloth sack. 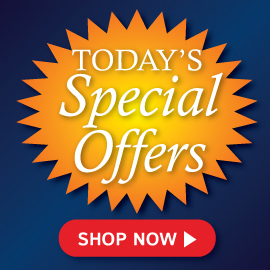 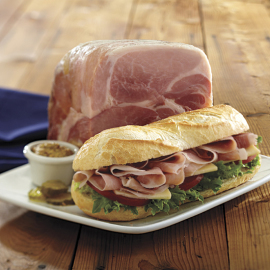 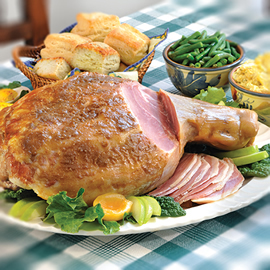 For something easier, but just as delicious, try one of our fully-cooked country ham options. 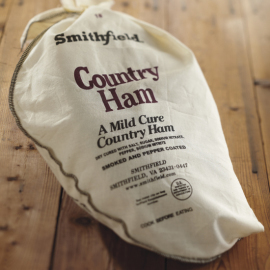 Remember, these hams have been dry-cured with salt, so enjoy them in thin slices for genuine country flavor.